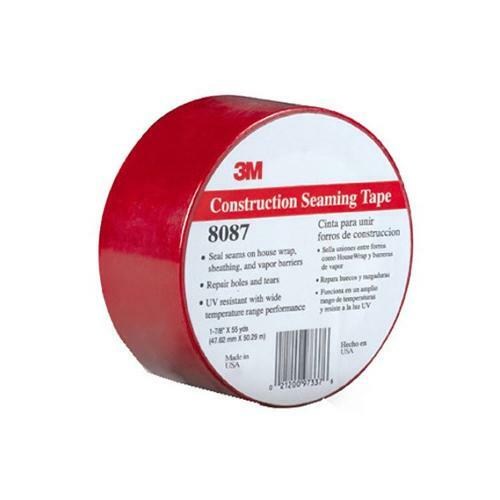 1 7/8 in x 216 ft 3M 8087CW Red Sheathing Tape at Cowtown Materials, Inc.
3M™ Construction Seaming Tape 8087 is designed to seal seams on housewrap and insulated sheathing products. It can also be used to seam polyethylene vapor barrier products as well as to repair holes and tears in these building materials. Taping seams aids in reducing air infiltration, improving the effectiveness of insulation and reducing heating and cooling costs.